A Breakthrough Guide to Knitting with Cables and Designing Your Own. 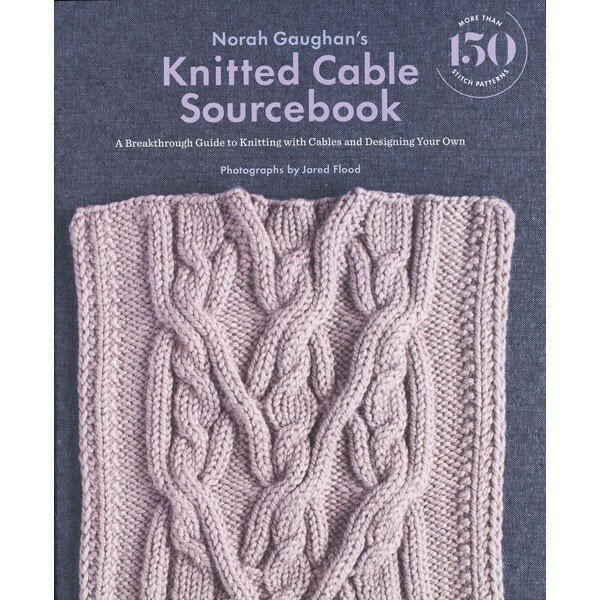 I have admired Norah Gaughan's designs for decades, and think of her as the Queen of Cables. This book presents 150 of them - each with a photo, chart, and verbal instructions - as well as 15 of the author's imaginative designs for pullovers and hats, plus a cardigan, skirt, afghan, poncho, vest, scarf, and wrap. Most of the cables are original to the wondrous author. Hardcover. 275pp.